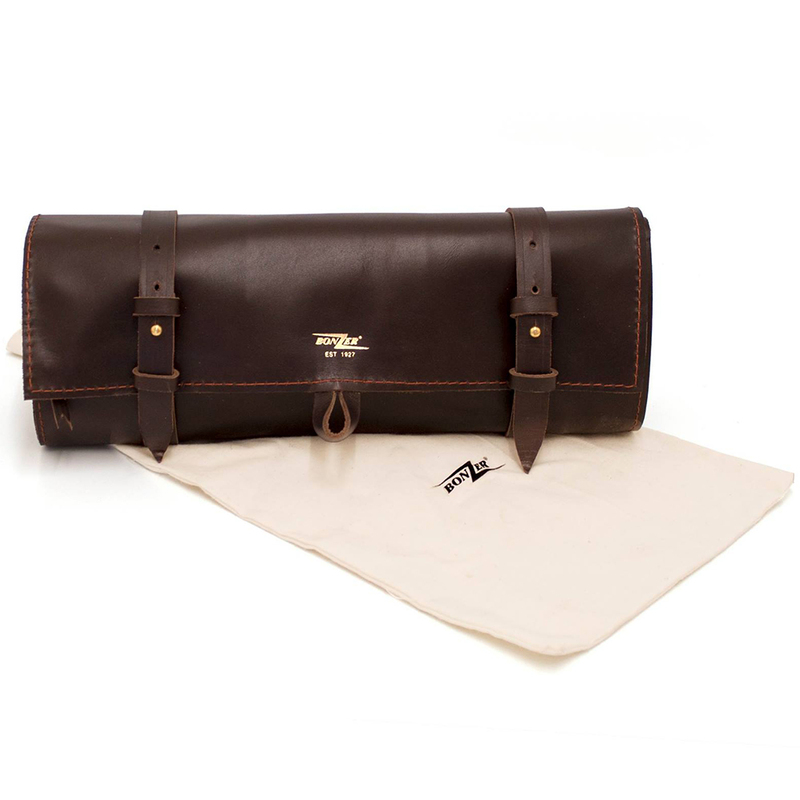 With the finest stainless steel plated with copper, the Bonzer Heritage Barware Leather Roll Bag is a comprehensive cocktail kit bag for bartenders. 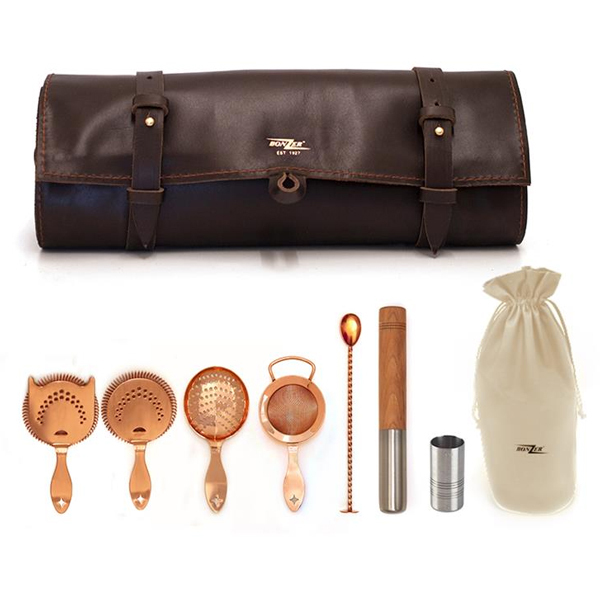 Perfect for creating professional standard cocktails with true luxury, this barware kit bag provides you with all you need for bartending on the go. 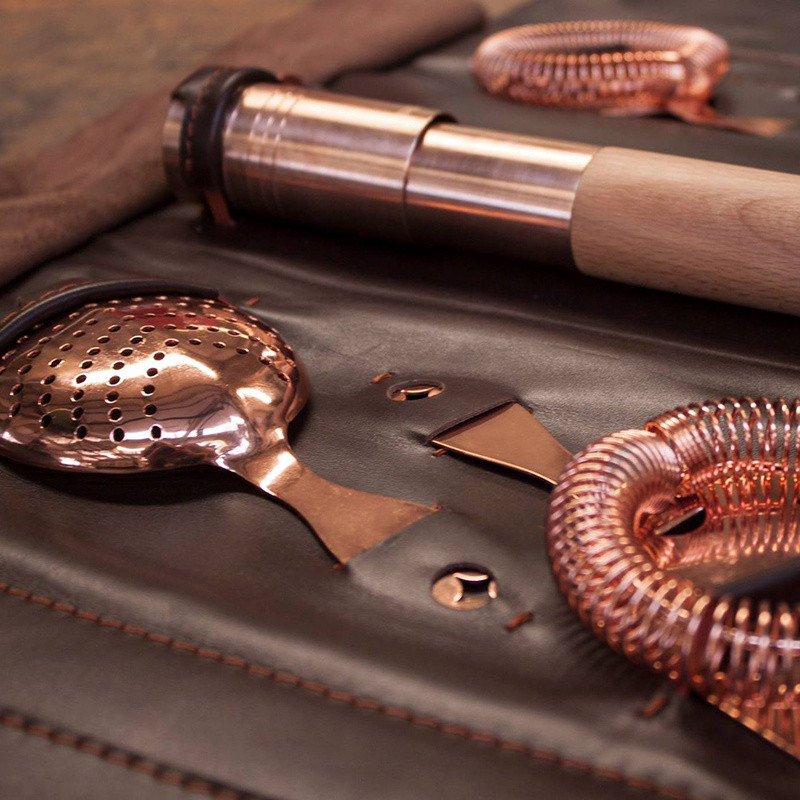 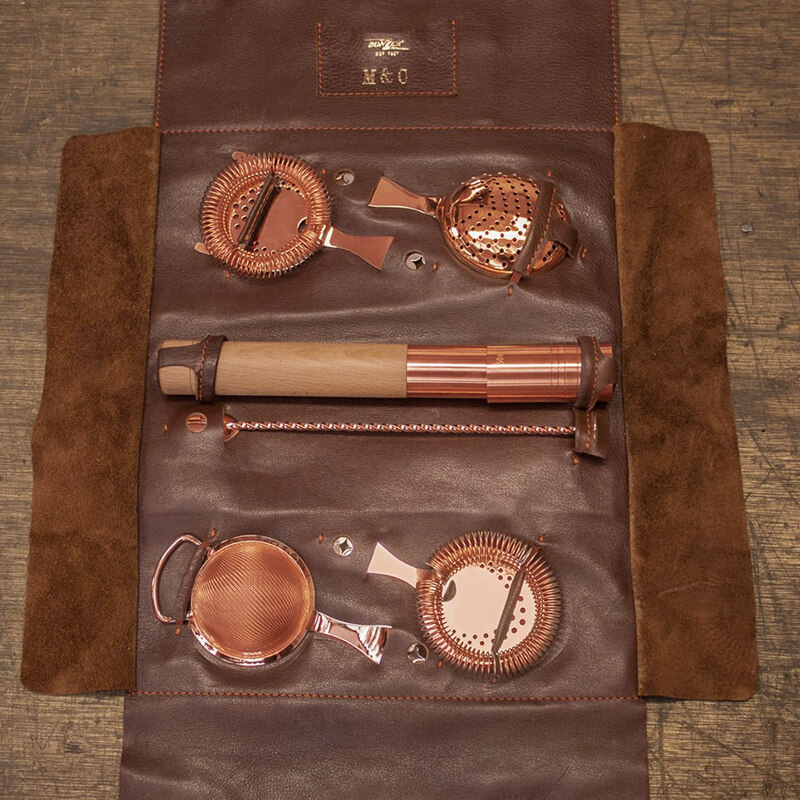 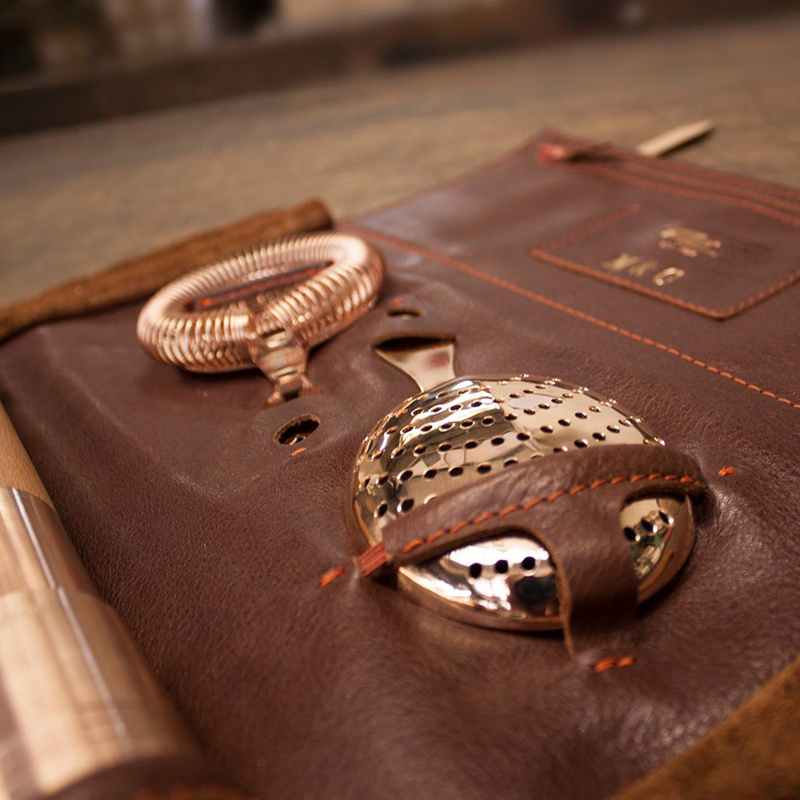 Following the new copper barware trend sweeping bars everywhere, this cocktail set comes presented in a hand crafted leather roll bag. 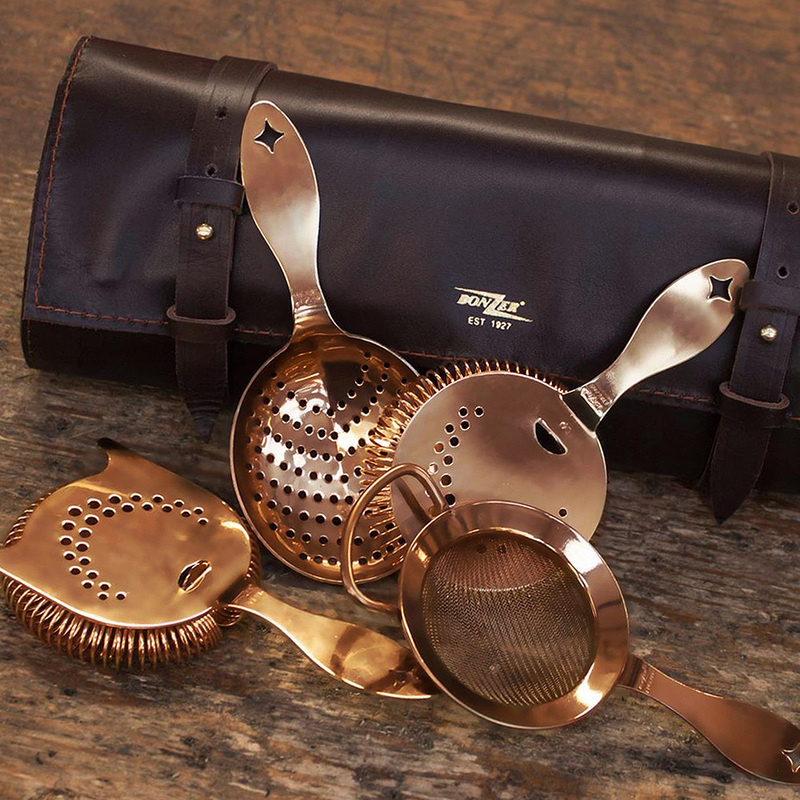 Featuring 1 x Heritage Hawthorne Strainer, 1 x Sprung Heritage Julep Strainer, 1 x Heritage Julep Strainer, 1 x Heritage Fine Strainer, 1 x Stainless Steel Half Half Wooden Muddler, 1 x 25/50ml Jigger Measure and 1 x Bar Spoon all complete with the Bonzer seal of quality. 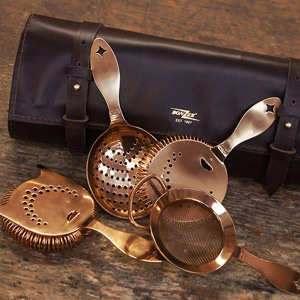 With a complete 4 strainer set, you can cater for every cocktail straining need with true perfection.